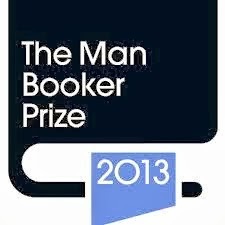 Our good friend WoodsieGirl has read all the books on the shortlist for the Man Booker Prize for the last few years. This is not because she is an avid reader, with varied interests and is constantly on the lookout for new great fiction. She does this purely to mock my inability to organize my book list. Honestly. It’s evil. Anyhoo, once again, she has kindly written up reviews of each book for us. As late summer steals in and the final pearls of barley are gleaned, a village comes under threat. A trio of outsiders – two men and a dangerously magnetic woman – arrives on the woodland borders and puts up a make-shift camp. That same night, the local manor house is set on fire. Over the course of seven days, Walter Thirsk sees his hamlet unmade: the harvest blackened by smoke and fear, the new arrivals cruelly punished, and his neighbours held captive on suspicion of witchcraft. But something even darker is at the heart of his story, and he will be the only man left to tell it . . . Told in Jim Crace’s hypnotic prose, Harvest evokes the tragedy of land pillaged and communities scattered, as England’s fields are irrevocably enclosed. Timeless yet singular, mythical yet deeply personal, this beautiful novel of one man and his unnamed village speaks for a way of life lost for ever. In Harvest, Crace tells the story of seven devastating days in an unnamed English rural village, in an unspecified time period (probably late middle ages?). The book opens with two linked events, on the eve of the harvest: a fire is started at the manor house; and three strangers appear on the village borders. The strangers are quickly (and wrongly) blamed for the fire, setting into action a violent chain of events that hastens the village’s demise: as, unbeknown to the villagers, their way of life is about to be taken from them. Their common land is to be enclosed for sheep to graze on – wool production being more profitable: “the sheaf is giving way to the sheep”. The story is told through the eyes of Walter Thirsk, a local man for the past 12 years but still regarded as an outsider – as becomes clearer as the events of the week unfold and the villagers close ranks against these outside threats. Walter had arrived in the village as the servant of Master Kent, who had inherited the manor house through marriage. Now 12 years on, with Master Kent’s wife dead, leaving him no heir and therefore no claim on the manor, the new lord of the manor, Master Jordan, arrives to claim his inheritance and usher in the changes that will drive the villagers from their land and deprive them of their land and their ability to feed and support themselves. On a deeper level, Harvest is also an allegory for displacement and exclusion. The main protagonists are all outsiders: Walter Thirsk, still not accepted despite marrying into and living among the villagers for 12 years; Master Kent, who stands apart as the lord of the manor already, but whose precarious position is exposed by the arrival of Master Jordan; Mr Quill, the mapmaker employed to map out the land and the new enclosures, who cannot find a place among either the villagers or the masters; and Master Jordan himself, who wields his outsider status as a weapon, imposing devastating changes on a land and people that he neither understands nor cares to. And then there are the three strangers whose arrival is the catalyst for the changes that ensue – two men and a “dangerously magnetic” woman – displaced from their own land by the same type of enclosure that is threatened here. By the end of the novel the villagers, their efforts to present a united front to all these outsiders having proved worthless, have lost their land and become wandering outsiders themselves. I thought this was an excellent book. The writing is vivid and detailed – occasionally comical, but mostly tragic. The narrative occasionally wanders a bit, as our narrator struggles to make sense of events that are rapidly overtaking him, but this just added to the general sense of powerlessness within the novel. My only complaint is about the characterisation of the woman who appears with the trio of outsiders at the beginning of the novel – or rather, the lack of characterisation. We are told she is “enthralling to behold in ways they never could explain”. We never find out her name – the villagers nickname her Mistress Beldam: “Beldam, the sorceress. Belle Dame, the beautiful”. And all the village men – our narrator, Master Kent and Mr Quill included – appear instantly infatuated with her. And I was never satisfied as to why: either why Mistress Beldam is so beguiling, or why it was necessary for the purposes of the plot that she be so. Perhaps I’m missing something here, but it just irritated me: the “beautiful, mysterious woman” trope is so overused in fiction, and I really expect better of a Booker shortlister. 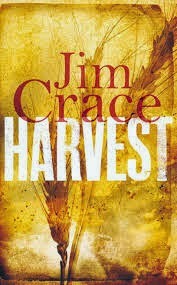 Other than that point, which irritated me but didn’t spoil the book for me, I really enjoyed Harvest. Based on this and The Testament of Mary, this is shaping up to be a very strong shortlist indeed! ‹ PreviousHappy National Poetry Day!